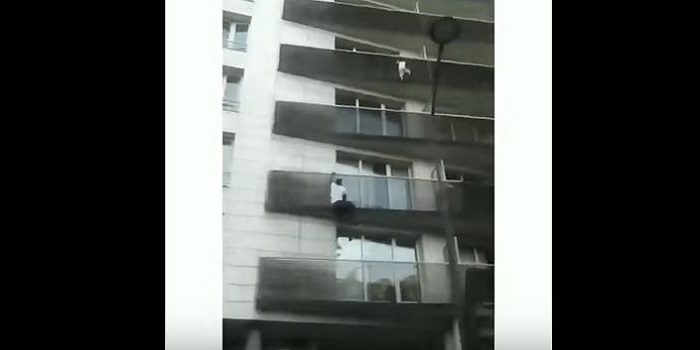 Mamoudou Gassama, a 22-year-old immigrant from Mali, did the incredible and climbed 4 storyes to save a child who was dangling from a Paris porch. Watch the incredible video from the heroic rescue and find out how it all happened in France's capital. Mamoudou Gassama, 22, a Malian immigrant is the new 'Spider-man' after he saved the life of a toddler who was dangling from a porch in Paris. The now famous incident took place in France's capital after the child, whose name has not been released, was left alone while his father went shopping. Eye witnesses started to crowd around the building as they saw the child dangle from the porch of his home, hanging between life and death. The structure of the building did not allow the downstairs neighbor to catch the child in case of a fall but luckily Gassama was around to save him. The 22-year-old saw the crowd of people under the building and noticed what was going on above them. In an amazing and selfless act, Gassama climbed four storyes, hanging on balconies, and reached the toddler in less than 30 seconds. 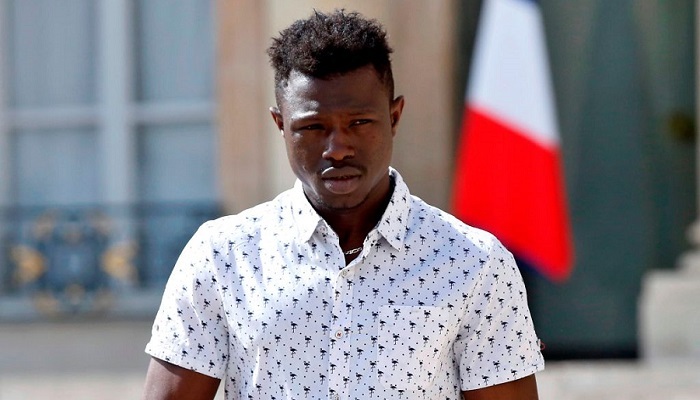 The brave young man, who had been living in an immigrant hostel since he arrived in Paris a few months ago, left the scene after the rescue and was tracked down a day later by reoprters. Gassama, who got to sit with the French president, Emmanuel Macron, said "I saw all these people shouting, and cars sounding their horns. I climbed up like that and, thank God, I saved the child, I felt afraid when I saved the child... (when) we went into the living room, I started to shake, I could hardly stand up, I had to sit down". 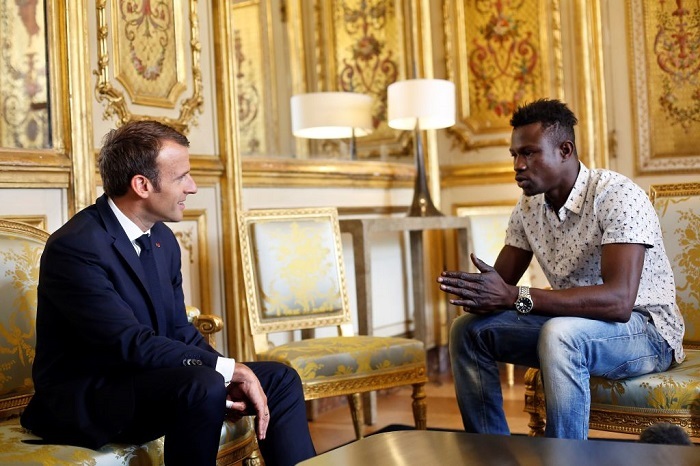 In the meeting with the president, Gassama was given a medal for his acts and was told that all of his papers will be put in order for him to become a French citizen. The toddler suffered no injuries during the incident, and amazingly, Gassama managed to escape with only mild abrasions. Why the child was left alone is being investigated by authorities, and until that question is answered, Paris has its very own super hero that saved another person's life without any regard to his own life. Bravo.